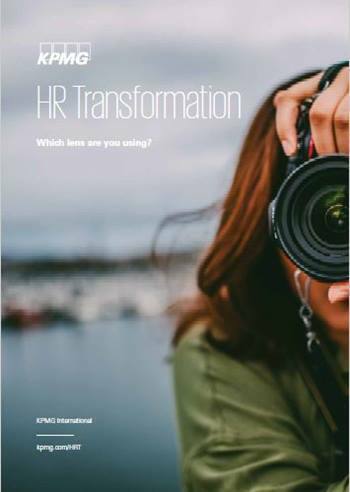 The 2017 HR Transformation findings reveal that global organizations appear divided into two camps with different lenses on where the HR function is headed – one half ‘enlightened’ and boldly engaged on the need for strategically managed HR transformation, the other half ‘unenlightened’ and faltering amid uncertainty as the digital era redefines the world around them and dramatically rewrites the rules for success. Three out of four organizations that undertook HR transformation have successfully executed initiatives such as implementation of cloud HR technology. The common characteristics for success for those ‘enlightened’ organizations were: changes to operating models alongside their implementation (72 percent), building a business case with clear measure for success (73 percent) and being viewed as adding strategic value to the business (89 percent). The other lens showed that while HR initiatives are said to be meeting expectations (44 percent), 59 percent of organizations lack a business case or metrics. The common characteristics for failure of HR initiatives were: organizations not changing roles or structure consistent with their transformation (85 percent), not identifying measures for success (90 percent) and having moderate to no change management capabilities (75 percent). Within the next year, however, 36 percent of organizations expect to employ intelligent automation which will drive significant changes for the business and HR operating model. The road to HR transformation success begins with a precise destination and a clear focus to embrace bold change in today’s digital era.